Has Iain learned anything about Columbo during the first sixty nine episodes? What goes into putting an episode of the podcast together? Who was the show’s most sympathetic killer? 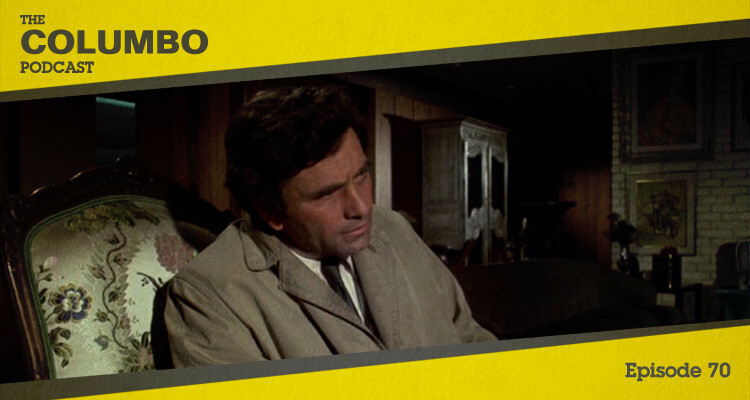 Which of Columbo’s tropes is the most appealing? What will Iain and Gerry’s next project be? What next for the Columbo Podcast? If you have thoughts on the Columbo Podcast please share them below, or find us on Twitter at @columbopodcast. The Columbo Podcast is widely available – on iTunes, Stitcher, tunein, Pocket Casts or pretty much wherever you choose to receive and manage your podcasts. If you enjoy the show it would be greatly appreciated if you consider leaving ratings and reviews on these sites – particularly iTunes – as that can make a big difference to growing the podcast’s audience. The Columbo Podcast team develops, produces and promotes The Columbo Podcast.